Last night I was speaking to one of my clients about their ideas for software system they would like developing. Although my client had done an excellent job of laying out her ideas using Excel and Word, I feel that actually with all it’s features Microsoft Office had let her down. Yeah you can use some of the organisational charts in Word and PowerPoint, but they lack certain features and to be honest, not very inspiring from a creative point of view. Microsoft does have a program called Visio which is very good, but again I feel it could be a little more inspiring, easier to use for non-technical users and then there’s the price, £200 for the standard version and £400 for the Professional! An alternative application which might of helped my client when planning her software system could of been Mind Mapping Software. You start with a centralised idea and branch out ideas and as you formulate your project the map grows. The idea is not be accurate or too formal, just a quickly way to get your ideas recorded. 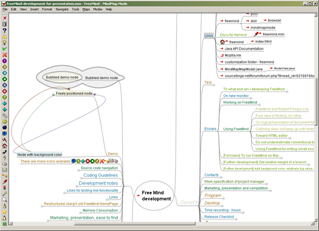 There are a number of commercial applications such as MindManager and IMindMap, but I would suggest you start off with FreeMind an open source Java based program than can run on Windows, Linux and Mac. Just recently I came across Mind42 which is an online Mind Mapping application that runs via your web browser. Once you have produced your map you can then import it into other Mind Mapping programs, Microsoft Word or insert it into your website or blog. You can also invite other people to collaborate with you while you develop the map. 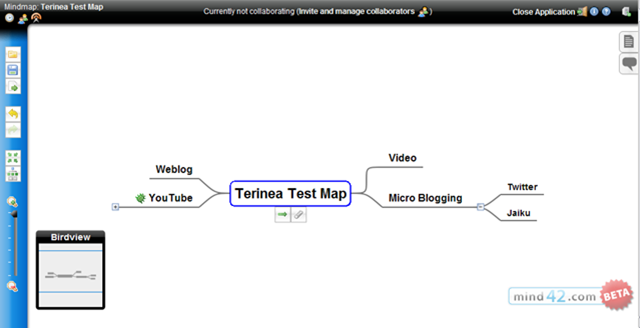 If that’s not enough Mind Mapping software, check out peterussell.com. I should of mentioned these two programs in last months post, “Plan Your Website, Save Money and Time” as this would proven useful way to map out your website. What planning/project/sketch-up programs do you use? Are there programs that you get your clients to use because it gently guides them to think in a more systematic approach? 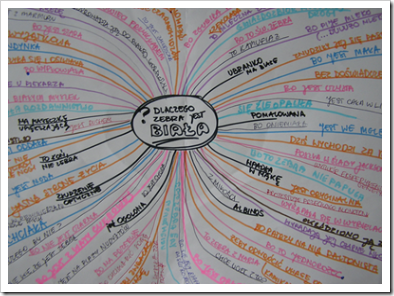 It’s low cost, easy to use and project oriented (not like the other generic mind mapping software). The cool thing is that it also allows me to export my plan to Excel and then import it back into GoalEnforcer. There is an information organizer for mindmappers that is geared specifically towards organizing project information. 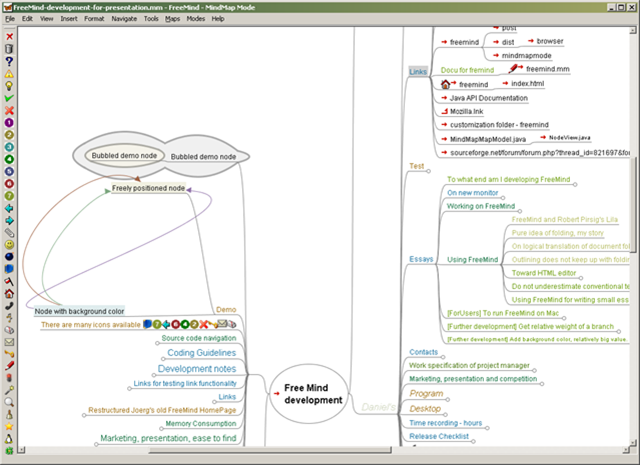 It works in a kind of 3D mindmap environment and allows you to see much more at one time than any 2D mindmapper. So all the web research, notes and ideas can be gathered in the mindmap that follows the basic structure of the original planning mindmap you mention above. In fact, this information organizer (it’s called 3D Topicscape) can import FreeMind files directly and build a 3D mindmaps from them. It can even export back to FreeMind and do a complete round trip. As the project progresses, this same framework can be used to store project management documents, design, costing and resources acquisition files and so on, so it becomes a hub around which the project’s information can revolve. another tool which I found extremely useful for project management is http://www.comapping.com. Worth checking it out. Yasmin – Thanks for the link. This is an independent, non-commercial site (it won’t try to sell you anything) that lists ALL mind mapping, concept mapping and outlining software, including local executables and web-based. 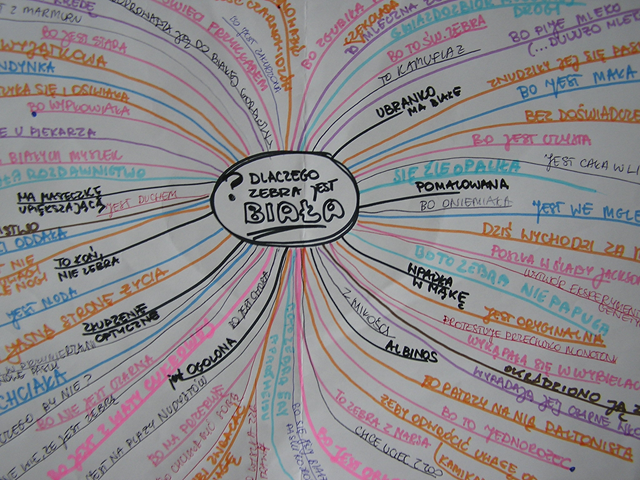 It has mind and concept mapping articles as well. Vic – Thanks for the additional information.